What a start to October! Euan’s Guide is delighted with the news that Doddie Weir has helped to raise a further £250,000 towards vital research at the Euan MacDonald Centre. It’s anticipated that the money raised by the My Name’5 Doddie Foundation will reduce the time it takes for new treatments to become available to those who have Motor Neurone Disease (MND). Euan was diagnosed with MND at the age of 29, and he along with his father Donald helped to establish the Euan MacDonald Centre in Edinburgh in 2007. There, researchers aim to ‘make discoveries that will slow, stop and eventually reverse MND.’ Following their donation to fund the neurological research centre, numerous other donations were received, including from J.K. Rowling, to help establish more research facilities such as the Anne Rowling Regenerative Neurology Clinic and the Muir Maxwell Epilepsy Centre. 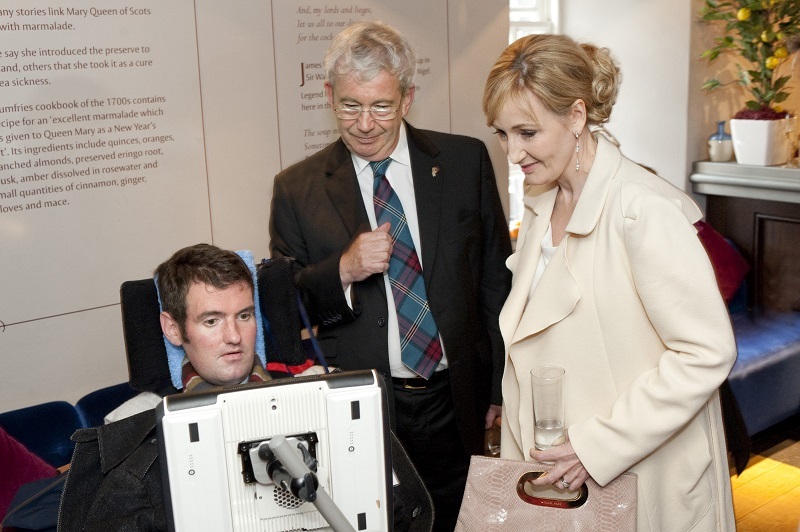 Photo: J.K Rowling and Euan meet. 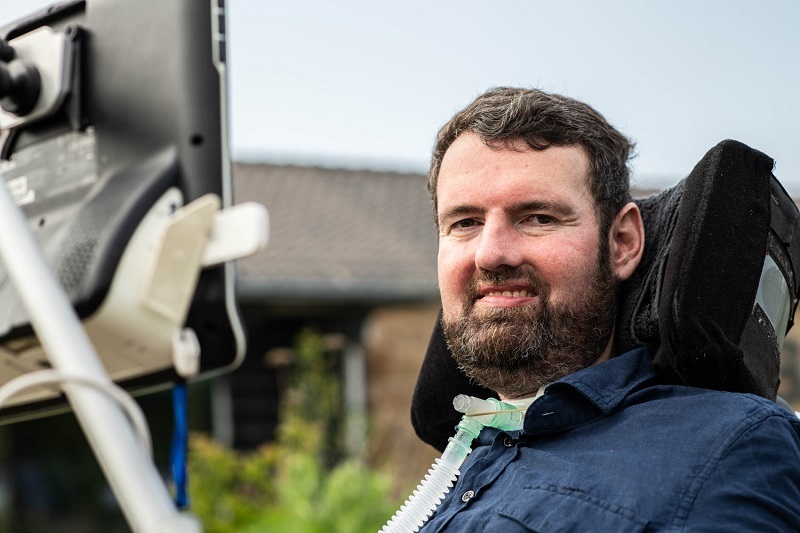 We’re eager to see what the future holds in the world of MND research, and Euan and his family continue to work closely with the centre, its voicebank and fundraisers to help make progress a reality. So, what did Euan do next? With the centre established and the tools in place to ensure ground-breaking research could happen in Edinburgh, Euan turned his attention away from lab coats and zebrafish to a side of MND that he could change outside of the laboratory. Euan’s experiences gained from having new access requirements inspired him and his family to create Euan’s Guide, the disabled access review website. The non-profit guide now features thousands of reviews written by disabled people for disabled people and covers everything from wheelchair access to accessible loos and whether there’s a hearing loop. Euan’s Guide is gearing up to celebrate its 5th birthday later this year and continues to grow thanks to the support of donations from people who are passionate about accessibility. If you’re disabled and aren’t sure what access is like at places you’d like to visit, give Euan’s Guide a go! You can search for reviews and listings near you, then add your own. “As a disabled football supporter, I travel all over Scotland and Northern England. I find information on the site and app very helpful.” Marcus, 2018. “Finding out about the site recently was great, you always think no one else is interested in such things. Having information ahead of time about a possible visit can be the difference between a successful outing and a disaster and often it is the little things that make the difference.” Brian, 2018.